Mayotte is a small earthly paradise with exotic scents that makes you dream! Your stay at Maharajah Hotel will be an opportunity to explore the island to its fullest, on land, sea and plates. 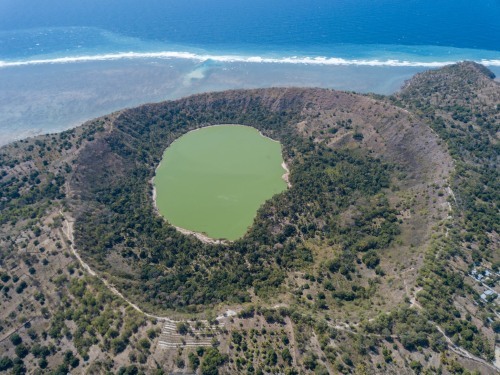 The lagoon of Mayotte is one of the most beautiful natural sites in the world and an amazing living space where the fauna and flora will amaze lovers of beautiful nature. Mayotte unveils a rich and varied culture and traditions, an exceptional biodiversity and a natural heritage of great beauty, which will make your holiday on the island an unforgettable magical moment! During their stay at the hotel, hikers will take the GR leading to the summit of Mount Choungui. 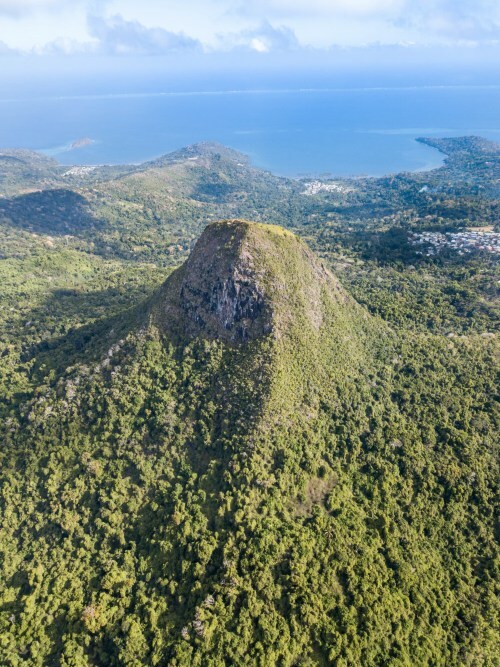 Mount Choungui, located in Choungui, south of the island of Grande-Terre in Mayotte, in the commune of Kani-Keli, is very popular with walkers with its 594 metres high. Located in the heart of the Indian Ocean, between Madagascar and Africa, Mayotte lagoon is the ideal place to discover the joys of scuba diving. 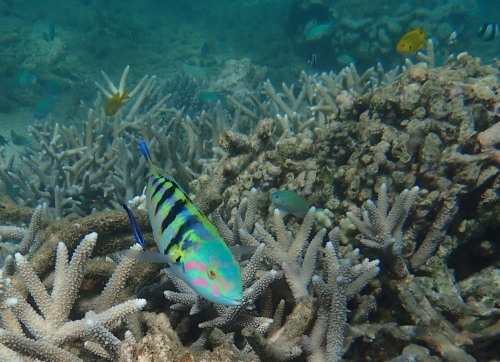 Known as one of the most beautiful diving destinations, Mayotte has one of the largest coral reefs in the world, bounded by a coral reef over 160 km long. Lake Dziani Dzaha is one of the most popular tourist sites during your stay in Mayotte. Located north of "Petite Terre", Lake Dziani is an emerald green crater. Lined with coconut trees, you will be captivated by the emerald waters of the lakes. Stroll along the hiking trail around the lake and make a refreshing stop at Papani Beach or Moya Beach.